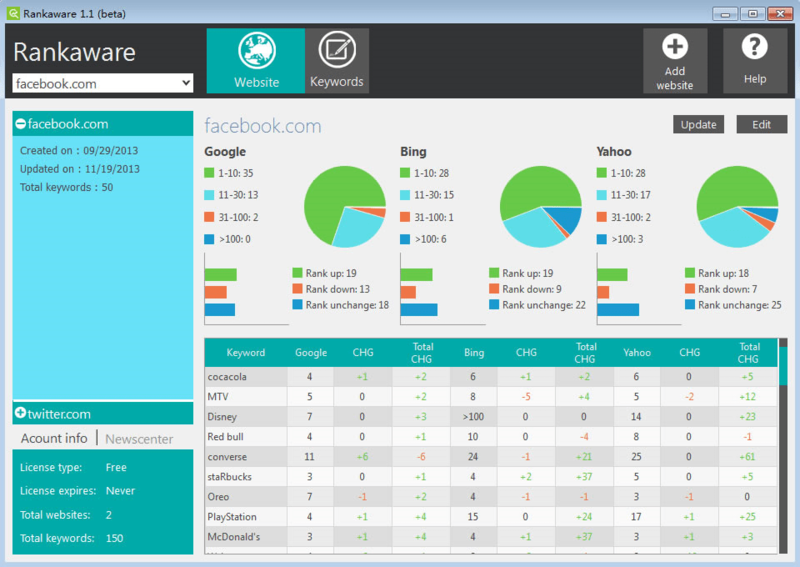 Bing is currently the second best search engine with the most users all over the world. According to a survey conducted in July 2016, Bing had 21.6% of the US search market share. As Bing slowly grows with a decent market share, and by considering the recent announcement made by Microsoft that Windows 10 S won’t let you change the default browser or default search engine (i.e., Bing). It is necessary to optimize your blog/website for Bing SEO to maximize the organic traffic from it. 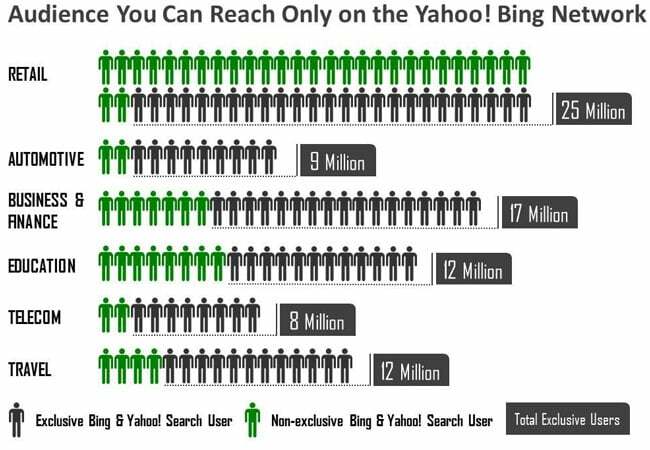 Since most of the websites focus on optimizing just for Google, you can race ahead with the help of Bing and Yahoo. There is a plethora of new customers that your competitors may be ignoring. Search relevance comparison(Bing & Google). Today, Bing has managed to grab maximum audience to its search engine. Education, Telecommunications, Travel & Business, Finance with values 79%, 80%, 71% and 72% respectively are other areas that are exclusive to Bing. When we speak of SEO, Google always pops up first in our mind. Other search engines send traffic to your website easily if Google is in good sync. But what most market experts fail to consider is that the second most used search engine can also be a great source of quality audience. Since almost everyone is after Google, Bing has a comparatively lower competition. Yahoo-Bing network has a decent audience in most parts of the world with a good market share. Many search engine optimization techniques are the same although the algorithms for Google and Bing are different. Also, Bing is more open about its ranking factors, as compared to Google. As of now, you might be aware of the advantages of Bing SEO. So let’s discuss some key factors to consider while optimizing your website. The quantity and quality of backlinks have a high correlation with the ranking of the site on Bing. Almost 52 to 53% backlinks of websites that ranked among the top 35 Bing results contained keywords in the anchor text. This result is nearly 10% more than Google. 2% of the backlinks to the websites on Bing included a stop word. The same result in the case of Google is 10%. Bing demands that its users grow their link profile with exact match anchor text with all the target keywords whereas, in Google, quality links from trusted domains do all the job. Many experts also believe that links redirecting to your site help Bing in discovering new pages on your site. Usually, this can be regarded as a sign of demand and popularity. The site which is linked to your content tells Bing that your content is trustworthy. Links from trusted high authority government, education related websites. For eg. .edu, .org, .gov links. 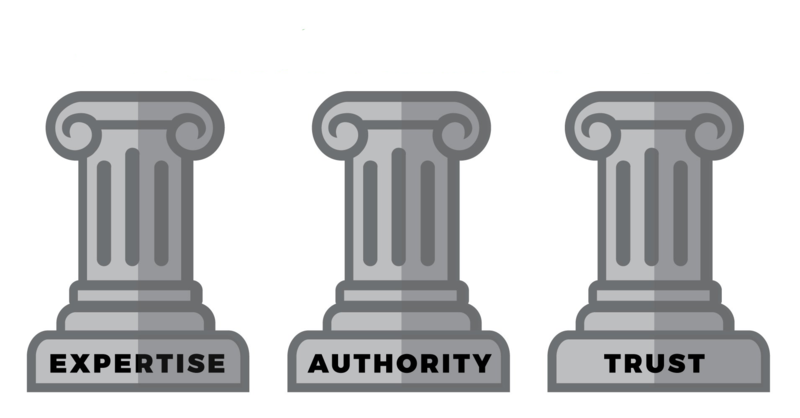 Links from old and trusted authority domains. But this also makes Bing more susceptible to spam. Beware of reciprocal and paid links, online schemes, and links from hacked websites. These links may get your site de-indexed from the Bing search engine. When a user searches for the keyword “best camera batteries” on Google, these are the results. It shows many sponsored results as well as a knowledge graph result. Whereas on Bing, the first result is from the domain “www.amazon.in/camera-batteries-chargers/. This indicates that perfectly matched domain/url is a key ranking factor in Bing search engines. From the above analysis, I would not recommend you to buy a new domain just for ranking in Bing and Yahoo results. Usage of exact keywords in the Heading 1 and Heading 2 tags is necessary for Bing rankings. Bing concentrates on exact word usage and emphasizes less on the context and semantics. Google focuses more on off-page factors and generates dynamic snippet descriptions. I would recommend you to use keywords naturally, in the alt tags and meta description as possible. Here is a rough comparison of SERP rankings among Google, Yahoo, and Bing. Google has discarded meta keywords and description as factors for ranking websites. But on the other hand, an attractive title and meta description can help in increasing your CTR thereby affecting your Bing search engine rankings indirectly. It is advisable to Bing users to keep the text length of the description between 20 to 150 words. Meta descriptions are an ideal way to give searchers an idea about your page. Hence you should not use the same meta description as the one on your page’s title tag. Bing encourages websites with unique quality content that specifically addresses the queries of the reader. But stuffing keywords repeatedly into the content to increase the keyword density will not be helpful. The author of the content should be mentioned along with the source of your information(if any). Answer the query in detail and ensure that it is helpful for the users. Format and present the content well. The length of the content. The inclusion of images, videos, etc. Trusted and valued user feedback, user comments for a blog post, or substantial replies to a conference link. Here’s an example that shouldn’t be up on Bing. The page doesn’t mention the author, it is full of ads that appear even before the main content. 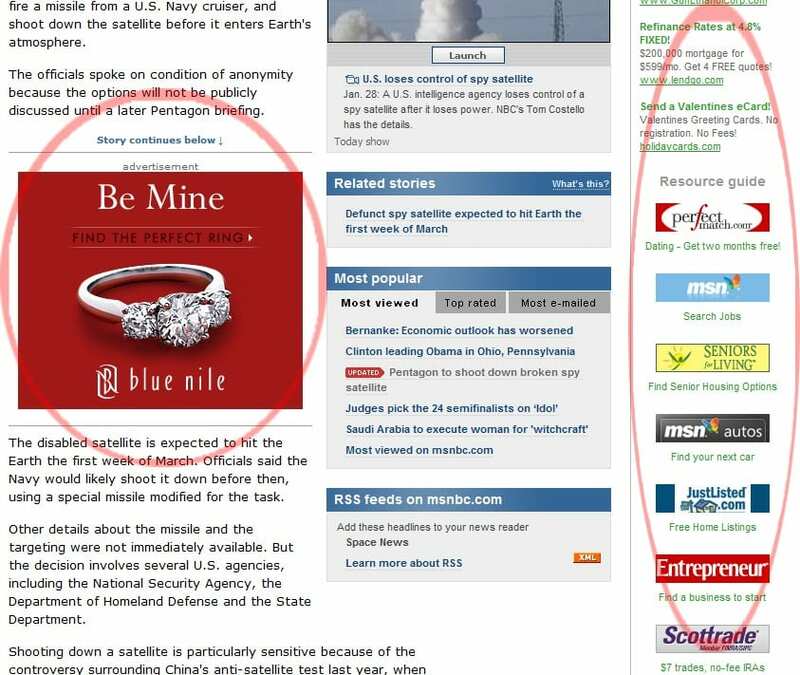 Also, these ads can easily be confused with the main content. Usage of multimedia and implementation of aesthetic appearance is also important for Bing. Google, on the other hand, prefers a simpler appearance with text and HTML. It does not support flash based content hence I wouldn’t recommend you to create a flash-based website for Bing. You can create a better experience for your readers by including images, infographics, and videos in your content. For example, let us compare the image search results for the keyword “handbags for women” in Bing and Google. In the Google results, you can see many images that can be surfed through. As compared with the Google results, the image results are organized well. This serves as a better user experience. Hence, your product might get featured in Bing image search results, if relevant images are added in the content. In the year 2011, Google, Yahoo, and Microsoft announced their alliance by introducing structured data format to make search listings more detailed. Let us now understand what a schema markup is. It is a platform for helping search engines understand your content and providing information filled search results. 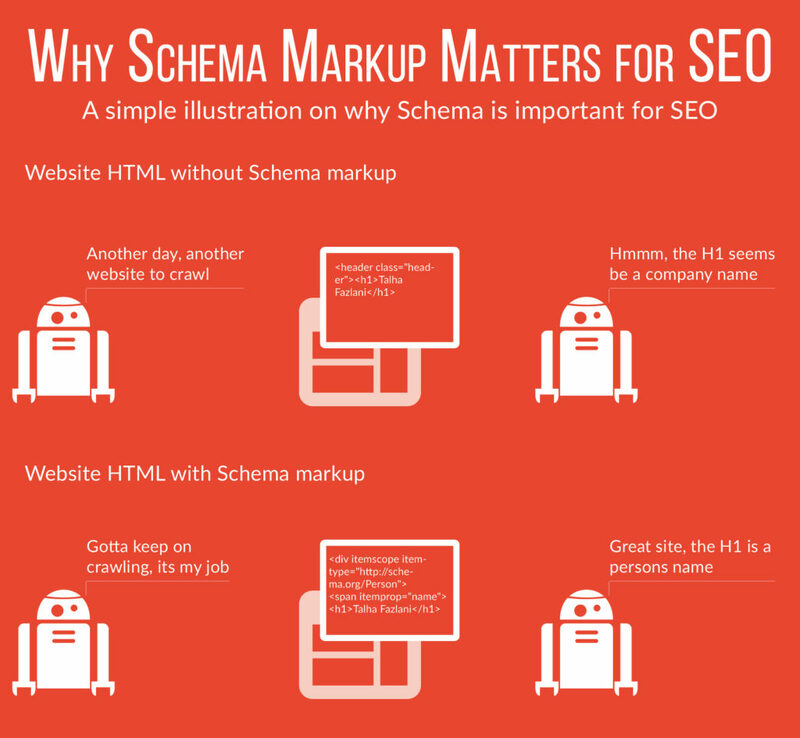 I would highly recommend implementation of schema markup on your website. It will help search engines better understand about your website/business and in increasing the click through rate of your search results. Apart from backlinks, social media signals play a vital role in the Bing algorithm. Bing uses social media to understand the popularity of a page among users. If your content is being shared widely by users, it pushes a positive signal to Bing. In future, your base rankings might increase/decrease in regards to your social exposure. If your social influence is high, then it may make your followers share your information across larger platforms as Bing values social authority of the content more than anything. 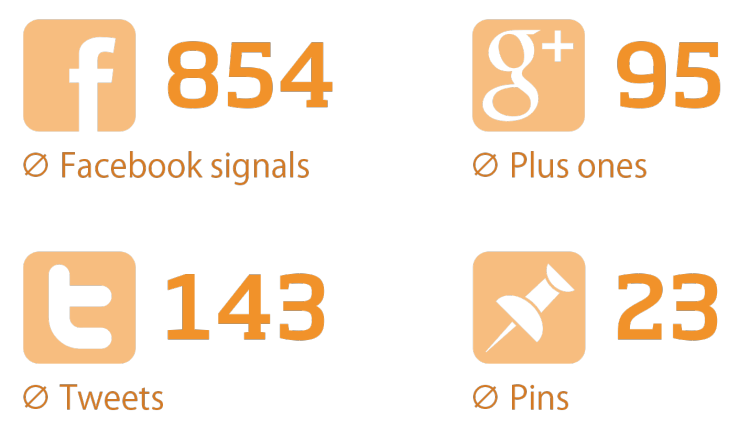 Social signals correlated with higher organic rankings. Bing also warns against shady social media practices that help your website gain too many fake followers quickly. I must say that for Bing search results, or any search engine for that matter, buying social media followers can be harmful. Bing has introduced what is called the ‘ignore URL parameters’ module that will help you combat issues related to duplicity. With the help of Crawl Control feature, you can determine the crawl rate of Bing Bot throughout the day. By choosing one preset out of the options, you can rely on Bing to decide the best crawl rate for your site. Suppose that your site is visited the most from 11 AM to 9 AM. Hence, for this period, Bing will maintain a deficient crawl speed and go on increasing slowly. Disavowing is a process by which a search engine is instructed not to consider particular backlinks while ranking various pages of your site. It’s a feature that Google warns its users to use with caution. Links can be disavowed at different levels. 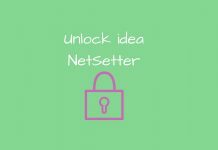 You should consider this tool only when you notice bad/low-quality websites linking to you or if you find someone intentionally negative-seo your site. With the help of Bing webmaster, you can restrict pages or directories from getting displayed in the search results. These pages can be blocked for 90 days. If your blocked page is still live after these 90 days, then it’ll be included again in Bing’s search results. Keyword research allows you to find lots of queries, phrases, and keywords from Bing’s base search data. Many keywords can be entered at a time, and the search can be customized by time duration, place or language. Site Move can be used to tell Bing if you are moving URLs from one place to another within the current site or moving URLs from this site to another verified site. For example, if there is a change in the site URL, you can mention its source and destination. You can also specify changes in URLs at sub domain and domain level. I recommend you to set up your site on Bing Webmaster Tools. It’s the best resource with which you can find out the keywords that you rank for, important indexed backlinks and spam links etc. You just need a Microsoft account to sign up for a free Bing webmaster tool account and add your website. Adding a CNAME to your DNS. 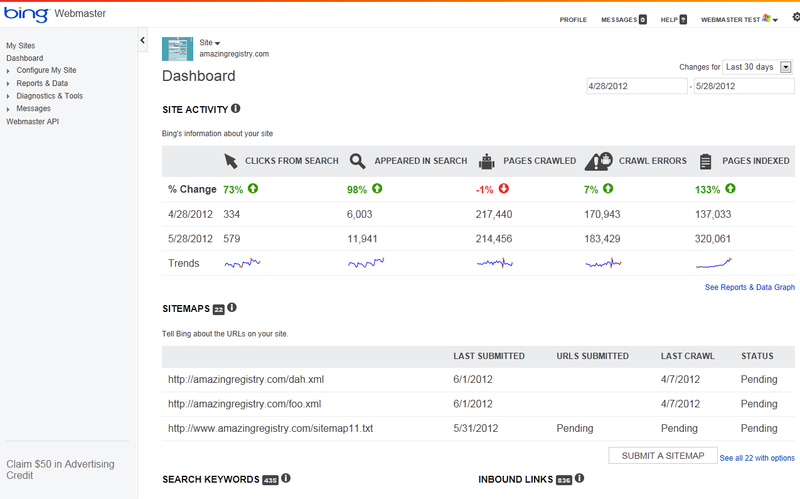 Once verified, you will come across a dashboard that will show how Bing views your website. Bing also gives greater importance to context and relevance. Before creating content, it is necessary to perform keyword research. For your existing content, you must modify the on-page keywords and SEO, only where it is needed. Bing likes keywords in the title and meta description. Bing encourages for your sites to have a unique and high-quality content. But it still hasn’t advanced in terms of discarding useless pages from their SERPs. Bing has gotten efficient now at understanding queries. 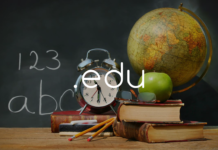 Recently, they shared their intelligent update for resolving movie and academic queries. A good website design, faster speed, and navigation will also contribute towards raising your Bing rankings. Bing must be able to find your page on the site before it can index it. Consider an example of WordPress pages where after the creation of a page from your WordPress dashboard, there are no internal or external links to it due to which search engines are unable to find it. You can index your site’s internal pages by uploading an XML sitemap. Also, you must make sure that robots.txt file doesn’t block these pages. A robots.txt file can be used to block Bing from crawling and indexing harmful pages on your site. Your website’s structure is a major factor to consider while setting up your site. It is important for you to invest your time in a design that will provide text-links and improved navigation. The inner pages shouldn’t be too complicated to access from the homepage. It’s easier to impress users and search engines with an authentic site architecture. Bing has yet to crawl your site. Bing is unable to crawl your site. No links are pointing to your site. Your robots.txt file has been setup incorrectly. 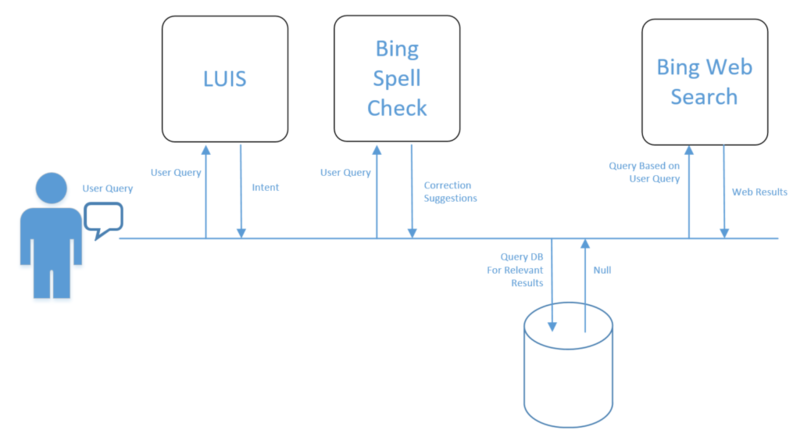 Your site fails to meet Bing’s quality threshold. Your site has been de-indexed due to a penalty. Bing has published a few helpful articles. They have even cited actual case study examples with intricate details about every update made by them. It is essential for you to be alert about your outbound link profile getting linked to clean sites. Reciprocal linking can also get you in trouble. You might be unaware, but Bing regularly penalizes the sites that do not follow their webmaster guidelines. Bing Webmaster dashboard displays “BLOCKED” status for blocked sites. 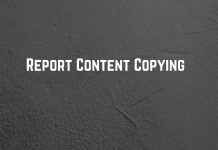 Do not upload low-quality, user-generated, or duplicate content on the website. 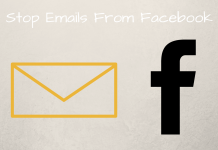 Do not create spam, hacked, fake, or paid links. Earlier, the Google bot used to crawl the first 100k of a given page, but now the amount has changed. Even today, Bing only crawls the first 100k of web pages. This signifies that it is of utmost importance to place your most critical content within that first 100k. Google recently made an announcement that HTTPS will be used as a ranking signal. Whereas, Bing officials announced that HTTPs will not be a ranking factor as of now. As they don’t want to mess rankings based on a factor with no substantial relevance. Bing gives importance to a site’s authority. Having a trusted domain will give your site some priority in Bing’s results. Google also considers it as one of the major ranking factors. -Go to Bing Business Portal-> enter your business name and zipcode-> if your site isn’t listed then add it-> if yes then you must make sure to claim it. After this process, you must complete the details page, your profile, mobile site, and add a few photos. Make sure to review your information. Bing prefers websites that load faster. Faster sites also provide a better user experience. Slow load times can be irritating for your users, and due to this, they will simply ignore your site and move on to the next SERP result. Most search engines prefer fast loading pages, but not if critical functionalities are at stake. Co-citations or co-occurrences signifies the text surrounding a website’s inbound links. In general, naturally gained context links are supposed to be followed by relevant texts more than the artificial ones. Creating internal links to your best pages with reference from other pages in your site is very important. They needn’t be an exact match, but you need to make sure that they’re relevant to the linked page. Anchor texts are of high importance as they provide an off-page relevance factor. Here the ‘noindex’ and ‘nofollow’ attributes order the user-agent un-index the page and not follow any of the links on the page respectively. It is usually preferred that you ‘noindex’ the pages you don’t want to be indexed by Bing. I’ve observed that Bing is less responsive than Google to large amounts of low-quality links. Google and Bing, both prefer high-quality base links. With a strong user engagement, your rankings can literally skyrocket on Bing. You can use ‘pogo-sticking’ for the same. 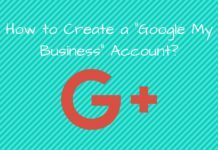 If a large number of users access your site without going back to search results, then it’s a very good sign. 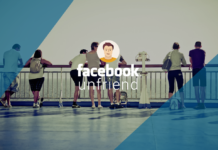 Keeping your users happy and engaged is of utmost importance. So, your website must never quickly scare off its visitors with poor content. Search engine optimization is not so different for Bing as compared to Google. Both these search engines highly promote quality content. 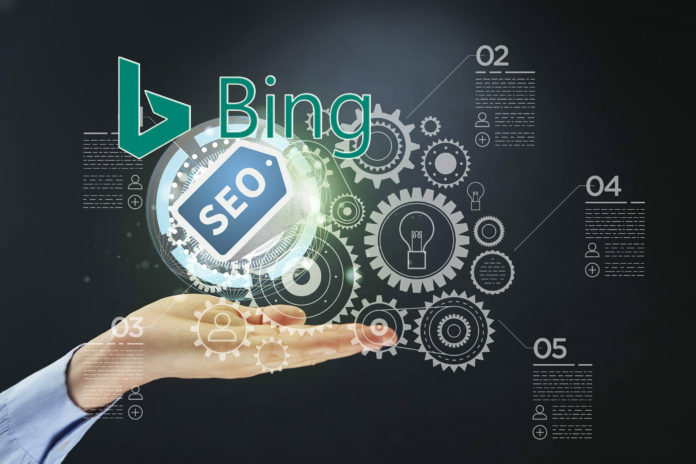 By optimizing your site on Bing, not only will you address a wider audience and leave your competitors behind, but you’ll also be able to rank well on Yahoo and Bing, as Bing powers Yahoo search. You must implement all of these ranking factors, but you must also remember that you need to optimize your site for the visitor. You can create a user-friendly site that people will use and return. This is something that will help in increasing your rankings on Bing and make your SEO efforts worth it. Google may dominate the search engine market, but it doesn’t mean that online users neglect Bing completely.